Social justice vs. kingdom work: At a national meeting of youth ministers, the key role of the local church is emphasized (reporting from Colorado Springs, Colo.). Second Front. COLORADO SPRINGS, Colo. — Love Jesus. At a time when Americans’ confidence in organized religion has hit a 40-year low, that mindset seems particularly prevalent among younger Christians. “It’s like a tsunami, beginning to overtake the church, and the church is losing significance in local communities because Christians are devoted to changing the world through the political process,” said McKnight, a prominent evangelical New Testament scholar and popular blogger. 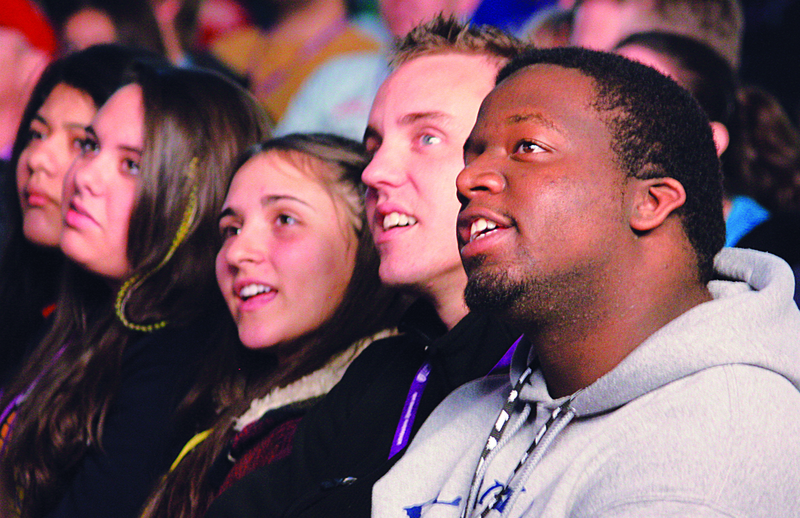 Showing compassion, feeding the homeless and working for peace are good causes, but kingdom work involves introducing people to Jesus and his church, McKnight told 285 youth ministers from Churches of Christ in 30 states. Teens envision a church more pleasing to God: Young Christians tout meatier Bible study, deeper relationships and less judgmentalism. Page 1 lead. A royal mocha, fit for a King: Two young Christians develop Purple Door Coffee as a means to serve the homeless (reporting from Denver). Currents. After cancer fight, Karen Tryggestad ‘safe in the arms of Jesus.’ Inside Story. Keeping millennials in the church. Editorial. This post highlights my stories in the March 2013 print edition of The Christian Chronicle.